WASHINGTON — President Donald Trump said Tuesday he’s “unhappy” with a hard-won agreement to prevent a new government shutdown and finance construction of more barriers along the U.S.-Mexico border, but he didn’t say whether or not he would sign the measure. GOP congressional leaders swung behind the proposed deal, selling it as a necessary compromise. 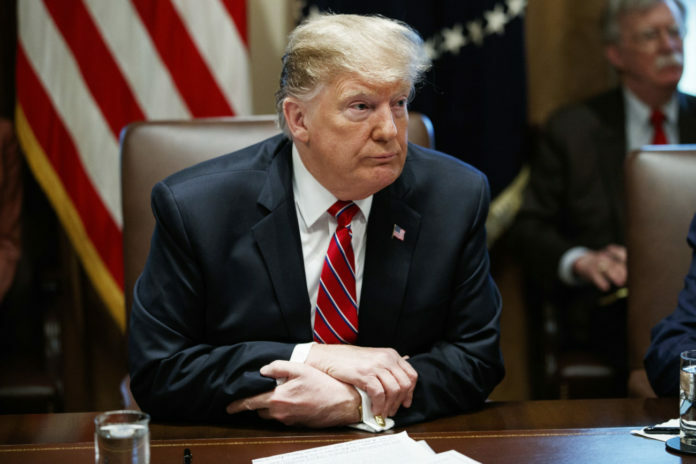 He said he needs to look further at the agreement, which would grant far less than the $5.7 billion he wants for a long-promised wall along the U.S.-Mexico border. But one way or another, “the wall’s getting built, he said, raising the likelihood he’d be “supplementing things” and moving resources from “far less … important areas” in the government. “We’ll take as much money as you can give us, and then we will go off and find the money someplace else – legally – in order to secure that southern barrier,” acting White House Chief of Staff Mick Mulvaney told Fox News Friday, previewing the strategy. He said more than $5.7 billon had been identified.